We feature classic, casual sportswear and footwear for men and women. 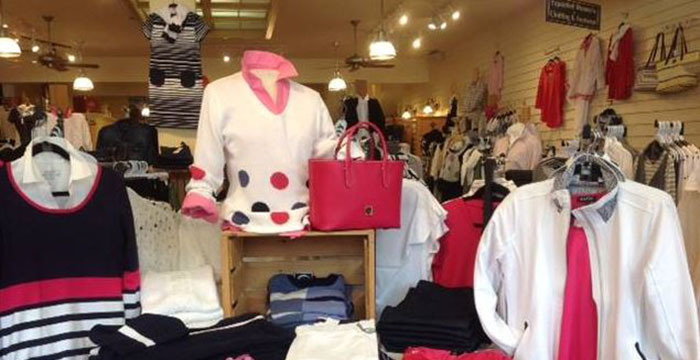 Stylish quality is reflected in our selection of lines - Polo Ralph Lauren, Tommy Bahama, Blue Willis, La Coste, True Grit, Icelandic, Cutter & Buck - plus many exclusive boutique collections. 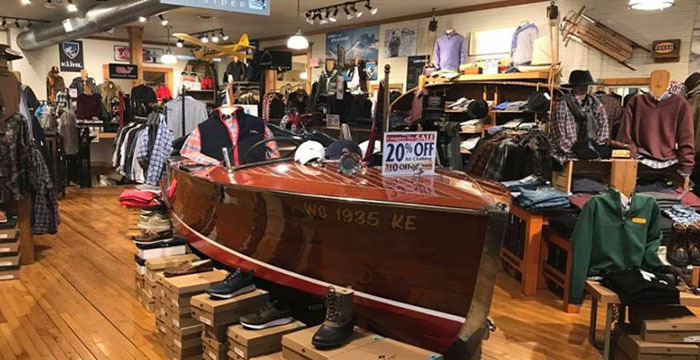 Be sure to stop in and see our vintage 1948 17 ft Chris Craft runabout in our mens section. Visit our stores in Sister Bay, Sturgeon Bay, and On Decks Lower Deck in the basement of the Fish Creek Market for unbelievable bargains. Nov-Apr, Open daily at 9.